Just want to let you know that with an extra effort from my US Mail delivery woman, I was a hero at Club with an order of badges that came over Labor Day weekend! Thanks for the speedy turn around! Thank you very much. 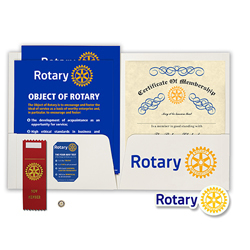 You are always very prompt, and I have learned that you are the absolute best, most dependable source of Rotary items. Thank you for your exemplary customer service. Just wanted to say thanks for the great service. Ordered an item on Monday and received it on Wednesday. Can't ask for better than that. Thank you for your diligence and I would like to commend you and Russell-Hampton on your customer service; your business is truly one of the best I have interacted with. Thank you for your very efficient handling of my request for this personalized banner for Jetta's Club. I think she and they will be surprised and pleased. I assure you that my Club is extremely proud of the one presented to them in Lisbon. 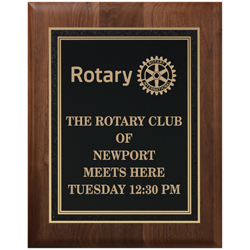 It is displayed every week at our Club meetings. Your logo says it all. You are not the best because you are the oldest - you are the oldest because you are the BEST! I totally agree. Here is one Rotarian who really appreciates you and your family and wishes you many more years of continued success. 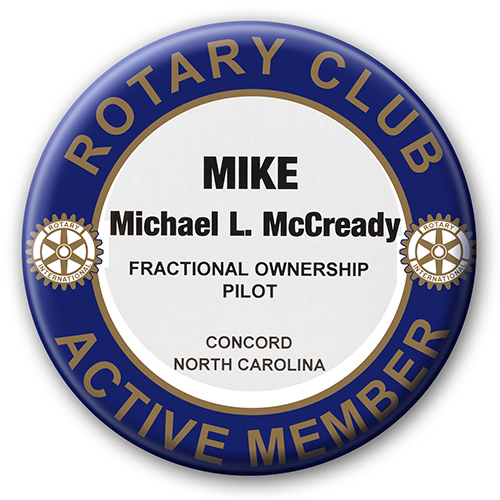 I just got a package of custom Rotary Badges on Monday that I ordered on Friday afternoon. I have no adea how you do that! But thanks so much! We had successful induction of new members on Tuesday morning thanks to you and your staff! I also called twice because I had trouble with my password due to my own 'typo' and Laura from your staff helped me both times with the most friendly and delightful attitude. Thanks for all you do...and the difference you and your staff make out in the world! I want to take the time to email you my thoughts and tell you what high respect I have for the members of your team at Russell Hampton. 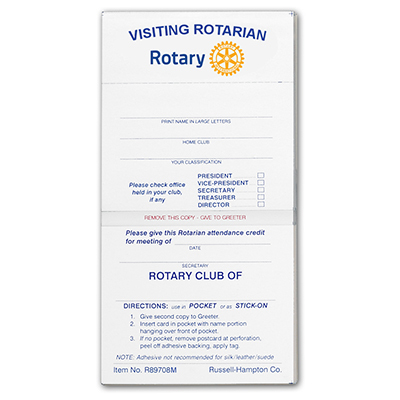 I have been the Club Administrator for the Rotary Club of Charleston WV for 9 years now and each and every time I need supplies, or just need some advice, I call you. 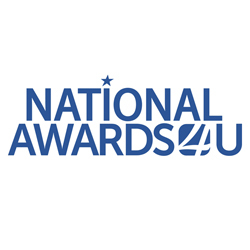 Your staff is awesome, especially one person in particular - Pat Jones. That lady knows me better than my own family as far as what my needs are for our club. I work Customer Service everyday with my daytime job (part of the Chamber of Commerce) so you know what kind of calls and requests I get each day. My goal is to treat people and the members of our organization the same as I would want to be treated. That's the same kind of service I get from your staff. I sincerely appreciate working with such nice and wonderful people, especially Pat Jones she is tops in my book. I would also appreciate it if you would take the time to pat her on the back with an ”At A Girl” from me and the members of our Club. We appreciate all your help. This is just a quick note to commend Susan (Customer Service) and the rest of the staff for their excellent work! I had an emergency order which I placed for three plaques, etc. last Monday, 4/22. I needed this entire order to make the presentations at our ONE AND ONLY fundraiser (for which I have been the general coordinator) on Saturday, 4/27. The entire order was in my hands in the afternoon of 4/24. (AND it was PERFECTLY done!) My thanks to all of your staff. AS ALWAYS, they are TOPS in helping customers. For the last several years I have been able to work with Pat in your Customer Service Order Dept. She is always very gracious, I can hear her "smile" come across the line, and she takes care of everything! 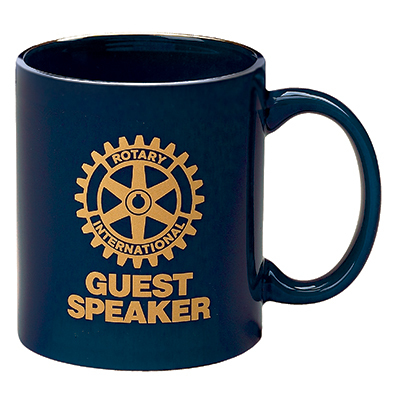 We had several calls last year ordering Rotary shirts and she kept everything straight and got them to us ASAP. I never feel rushed when talking with her and she is good at offering suggestions if a product I want is no longer available. 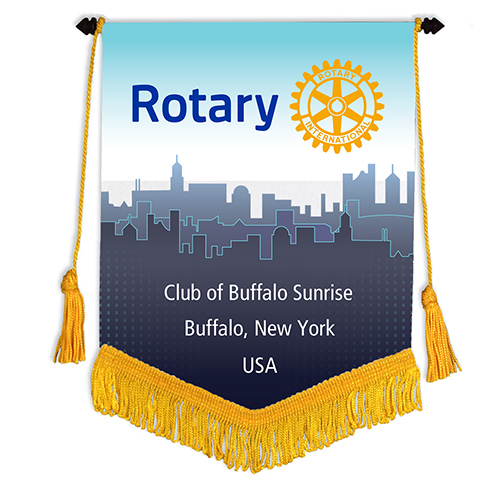 To our friends at Russell-Hampton - Owego Rotarians are very grateful for your generosity in allowing a discount on all the replacement supplies we needed after the flooding in upstate New York destroyed our materials. We thank you very much! Good Morning Laura. You and Russell-Hampton have been so pleasant and so efficient over the years... I really enjoy working with you. Thank you once again for helping me place my club's orders for supplies. Make a great week! In the business you are in, there are many companies vying for the dollar and hounding Rotarians worldwide for a piece of the action. Our club has routinely utilized R-H for years and now I can more thoroughly appreciate why. I have to commend you for service rendered. I placed a fairly messy order on 31 May for 28 badges, an "oh-by-the-way" forgotten one a few hours later, and 3 plaques - all of which should have been ordered much sooner. All clubs know, or should know, that this is rush season and worst case workload for you people. Nine days after I placed my order on-line the UPS boxes were on my doorstep with 100% of the order filled. All correct. All professional in delivery and appearance. We did not deserve such good service. Our Charter Night event a week from yesterday will be full of smiles and praise instead of excuses due to your prompt work. I salute you for running such a business the way you do! Well done.